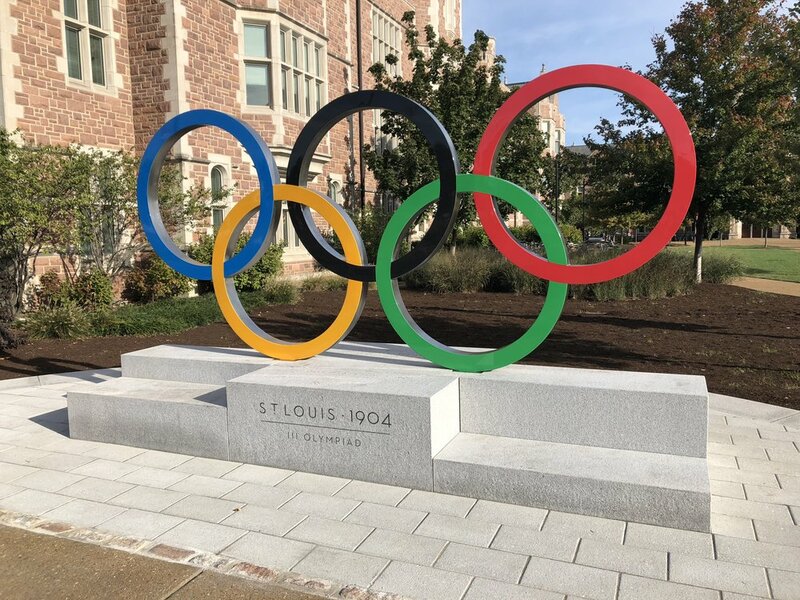 As a board member of the St. Louis Olympic Legacy Committee, I have been working with the St. Louis Sports Commission, the US Olympic Committee and the International Olympic Committee to develop a sustainable platform for St. Louis to celebrate and leverage it’s standing as an Olympic Host City. 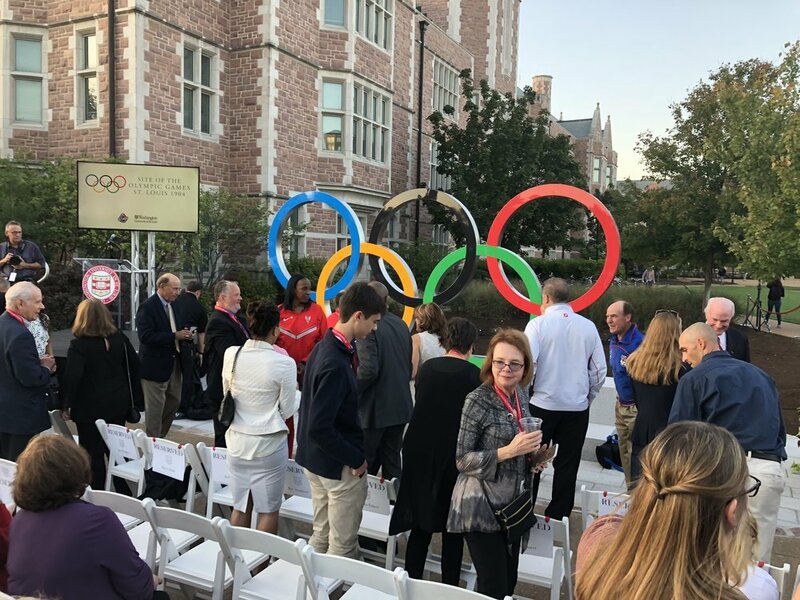 The project began in 2011 with a vision that lead to the first phase—the installation of an Olympic Rings sculpture (known by the IOC as a Spectacular) in September, 2018. The seven year journey involved several plans and presentation decks to gain local and international support. The first phase of the project was historical research and setting priority messaging. The 1904 Olympics suffer from bad press, myths and in some cases, lies. The incident of cheating in the marathon and accusations of ‘poor organization’ and a sideshow to the World’s Fair needed to be put into context. Furthermore, the positive outcomes of the games have never been told. St. Louis introduced the gold medal, setting the precedent of awarding gold, silver and bronze for first, second and third place. Diving, boxing, freestyle wrestling and the Decathlon made their debut in St. Louis. George Poage was the first African-American Olympian to participate and medal. These stories have never been properly told. In 2012, the St. Louis Sports Commission attended the 2012 London Games. There, we set up a display at the IOC’s house and passed out booklets outlining our vision. In 2016, we placed two billboards, I-64 downtown and I-170 near the airport, wishing Rio ‘Good Luck’ in hosting the games. 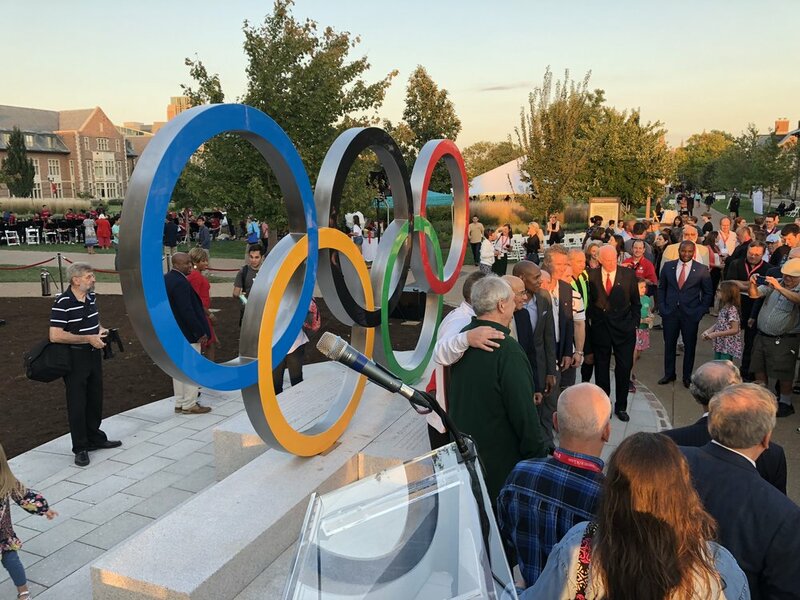 The gesture was well received by the IOC, positioning St. Louis favorably as a steward of Olympic legacy and the Olympic ideals of good sportsmanship and respect. In 2017, prompted by St. Louis’ efforts, the IOC established their ‘Vision 2020’ initiative, allowing Olympic cities to leverage their legacy in a larger way. This allowed use of the Olympic rings for non-commercial use at the sites associated with the games. St. Louis is the first city to go through the process. In October 2017, we were granted rights. SWT Design was hired as landscape architect to design and fabricate the Olympic Spectacular on Washington University’s campus. The entire project was designed and installed in approximately 8 months. 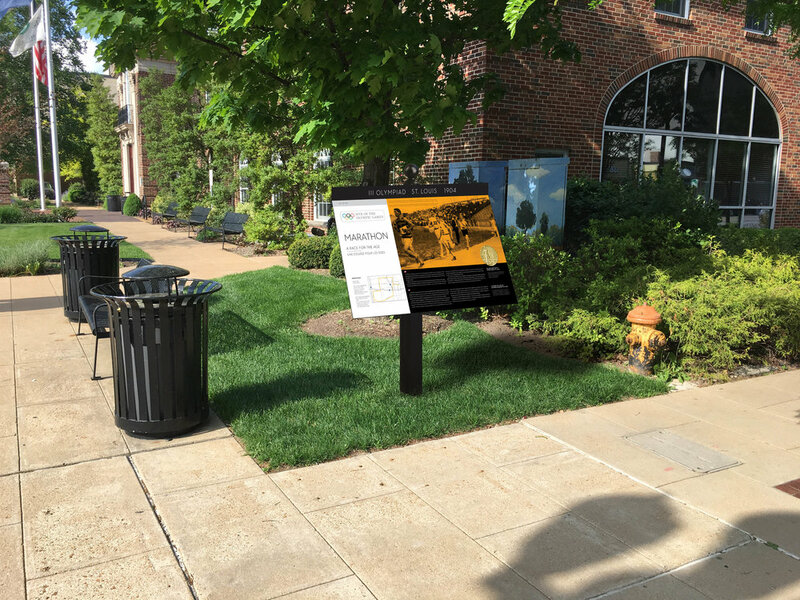 Interpretive signage is currently under review by the IOC or in fabrication. The signage will be installed in the winter and spring of 2018/2019. The design of the spectacular was inspired by St. Louis’ contribution of introducing the gold medal. The plinth is designed as a medal podium—both tying back to our story and encouraging interaction with the spectacular.